A story unlike anything you have ever read! The characters come across as real people, but establish their own level of strange. Some characters from early in the book reappear to play a decisive role in the resolution of the plot. A small county in West Virginia is home to a community estranged from the rest of the country and operating under its own rules and leadership. A century or so of inbreeding has produced some interesting people. The community itself is led by a god known as the Dead King whose very existence is an extreme secret. Charlie Parker is caught in the middle as a man bedeviled by this sect seeks his help before vanishing. Many interesting characters and much action keep the book deeply engrossing. The style of writing conveys the message without getting in the way, making it an easy read. It's worth the money. Heros become tainted, good guys seen as bad. Evil on the rise. Justice comes through mysterious events and champions. Charlie, Louis, Angel, and Jerome lead in this thrilling mystery to The Cut (similar to a land-based Bermuda Triangle)! Dynamic, page turning writing! Haven't read the previous books in the series; happily, didn't need to with this standalone story. But I will read them now! Book free through Netgally for honest review. What a great book. The 14th in a seies and really the best yet. i recommend you read the entire series. I was so hooked read all 14 in less than 3 weeks. i have become quite attached to Parker, Angel and Louis to name a few of the key chaacters. connelly is out of the box with this on going story line but will not disappoint you. Good conquers evil, in some very interesting ways. I have read all the Charlie Parker books and this one is the first that i did not completely enjoy. Too much emphasis on all charactors except Parker and his friends. Like this book was written in a hurry Hope the next one will be better. 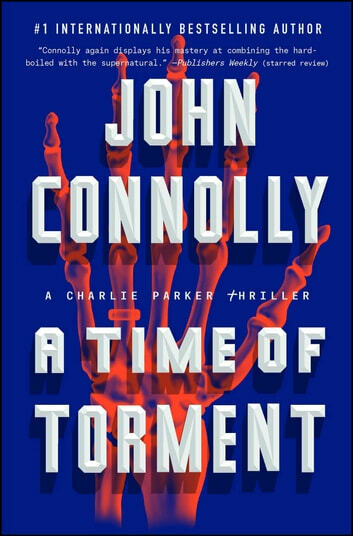 Author John Connolly has once again penned a solid thriller filled with emotion, criminal deeds, evil as old as the world, and a hero with a thirst to right wrongs and bring justice to a world spinning out of control. Charlie Parker and friends are a force to avoid at all cost; if you can not avoid a confrontation then God be with you. Some would say they have no conscience; some might be right but these three will always fight on the side of good against the insidious evil seeking to destroy. The character development in this novel was skillful as Mr. Connolly grabs the reader from the first page of this fast paced novel. Mr. Connolly is talented in revealing the depth of evil humans are willing to pursue and inflict on one another. His portrayal of the Cut as an interbred, secluded, and isolated community of criminals which have for decades existed on their criminal activity was very skillful. Their hold of fear and terror on this small county was absolute, but things are changing as Charlie Parker is on his way. Mr Connolly had many threads to bring together to create a cohesive novel and he did so perfectly. Mr. Connolly never disappoints and this book is no exception. The pace was fast with plots which kept coming and held the reader's attention. The paranormal elements added depth to the story-line. RECOMMENDATION: 4 STARS This is an action packed story-line that will hold the interest of the reader and leave you wanting more. It is a solid written-written and developed book which I do not hesitate to recommend. Due to violence and subject, I recommend this book for young adults and adults. I received this book from the publisher and Netgalley.com in return for an honest book review. Books reviews of any novel are dependent on the book review author’s opinion; book reviews on line and on my blog are my opinion.